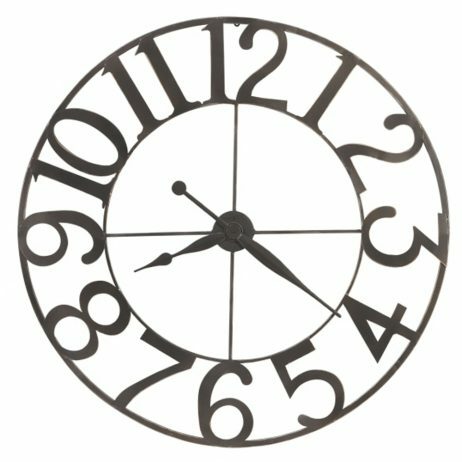 This impressive 49″ diameter wrought iron wall clock features oversize, stamped Arabic numerals and is finished in a dark charcoal gray with silver edging. Matching hour and minute hands with dark charcoal gray finish with silver edging complete the look. 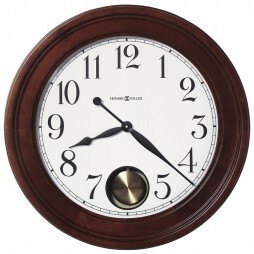 Give your home modern yet classic look with this handsome wall clock. Elaborately carved column caps are the secret of artistry. 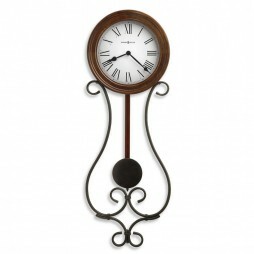 Carved accent on the door complements delicacy of this timepiece. 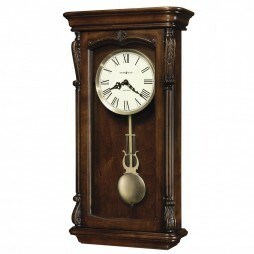 Lamb's wool background on the dial with black roman numerals and classical spade hand adds charm to the feel of the clock. 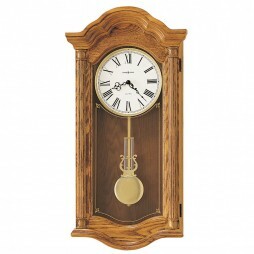 Lyre and grid designed brass finished pendulum is yet another bonus to the beauty.